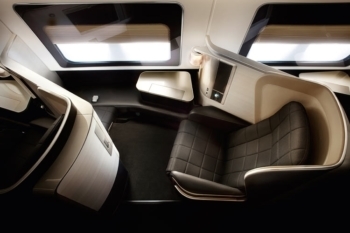 Avios First Class availability to the Americas, Asia and Africa is back! Four days after British Airways removed all Avios availability in First Class to the Americas, Asia and Africa, the seats have returned. It isn’t clear what is going on. However, my article on its removal on Monday was the most read article on Head for Points – ever. Including our email list, the article had over 50,000 views. It was also picked up by the press. So, error or not? Is it possible that all First Class availability from 1st January could be pulled at the same time to the Americas, Asia and Africa – but not the Caribbean or Middle East – by mistake? It seems very unlikely. My best guess is that BA did this in advance of something but that something is not ready. The big shake-up of the avios.com platform isn’t happening for another 4-6 weeks, for a start. It would, of course, be easier if BA acted like most other UK travel loyalty schemes and showed me what they were planning in advance of it being announced, but they don’t. I could at least then calm nerves if there is no genuine reason to worry, even if I can’t say what is going on. All I can say, short term, is that if you were planning on any BA First Class redemptions for 2019 – remembering that you only book until late March at the moment – you do it sooner rather than later, just in case. Part 2: Are the new Virgin Atlantic credit cards right for you? Excess traffic? My guess is that your mention on the weekly email at moneysavingexpert.com with their multi-million person readership was responsible. I just went to price up two return Z flight to Tokyo off-peak and the are showing as 204k return. I thought, they were meant to be 180k? Sneaky devaluation? 204k is correct. always has been. Tokyo was always 204k off peak. Yes off peak Tokyo is 102k in F as normal. Ok, seems I made a mistake. BA May have reinstated some Avios 1st availability but it seems they have sneakily put the Avios prices up by almost 20% e.g. HKG-LHR Dec 2018 one way 1st = 102k Off Peak. Same route in Feb 2019 = 120k Off Peak. At least when they devalued last time, they gave considerable advance warning. I should also have said that CW Avios pricing appears to be the same as before at present. E.g. same example as before – One way HKG – LHR Off Peak, Dec 18 and Feb 19 = 75k Avios. Someone was just on holidays…. Still nothing to Singapore unfortunately in December. Rob – Any idea what the big shake-up of the Avios platform actually means? Is it all back-end stuff or are they likely to harmonise Avios.com and BAEC client-facing processes. e.g, HHAs are completely different between the two currently. I am sure you don’t have definitive answers but any hints would be appreciated. OT. Has anyone tried superglueing a BAPP card back together? Asking for a friend ???? Still nothing to Seychelles – they are definitely blocking out key routes for F still. It’s also a small cabin and fares come and go depending on cash sales. Also quite possible they have already been snapped up. The sense of entitlement is staggering. Seeing way less F availability to Mumbai/Delhi. Usually easy to get 4+, but seems to drop off at the end of 2018. But glad it’s generally back to normal! Re the Avios.com platform – are we soon going to be able to have just one Avios account? I was going to close my household account as I will need to move some from BAEC later this year, but I’m wondering whether to bother now. Not fully clear yet. It is possible that avios.com remains but only as a redemption website with no ability to have an avios.com account as we currently know them. It is a frightening prospect if we lose the ability to book redemption flights through the BA site, and have to make them via the avios.com platform. Unless they have dramatically changed it recently it is a far inferior booking platform. You couldn’t do stopovers, which those of us in the regions invariably need to get a domestic connection. Avios.com stopped being useful some years ago when the extra G booking class availability was removed. It also presumably means harmonisation between the IAG airlines meaning the end to any of the good deals with Iberia or Aer Lingus. I’m a big fan of seprate avios and BAEC accounts. My BAEC is a household account and my avios is not, allows me to get the benefits of pooling avios for access to redemptions in BAEC and then booking for others outside of the household and freinds list in avios.com. Yep – I do the same and it works well. BA is hyper-sensitive at the moment to bad media coverage. This wasn’t accidental. If they switched off F redemptions pending a change in availability and/ or pricing, then risk of media picking up another bad news story plus pressure from commercial partners may well be enough to reverse decision. I’ve jumped on something for next spring that I’m fairly happy with – I can now try to improve my position knowing I have something locked in under existing rules. I’m glad you brought it to my attention Rob and am SURE it had an effect on the speed of either the fix or reversion. II would not ber surprised if Amex had something to do with BA reinstating the F availability today. Billings are over £1 billion per month. Let’s say £16-18 billion per year, of which 25% is on a BAPP. That is a potential 20 BILLION Avios per year purchased by Amex. Yes, I think they have some sway …..
Do they freely publish such figures or is that an educated guess? Any idea of the Avios conversion rate (ie. how many never get spent)? An ex-Avios employee told me that. Also worth pointing out that availability is increasing throughout the day. For example at lunchtime Tokyo was 4 outbound/ 4 return for March 19 for 2 adults in F. It’s now 5 out/ 8 in. Singapore went from 0/1 to 0/0 to 1/1. OT – anybody know if a VS economy light ticket can be changed/upgraded to an economy classic? Booked via Amex Travel and it just said ‘Economy’. Should have read the small print in more detail. If I search for F availability on baredemptionfinder, it now shows available days but says “available, but price unknown” for any days in 2019. Simply because BA have not published which days are peak and off-peak. If you search on BA.com it prices correctly. With no calendar it needs Tim to manually make a list of dates.